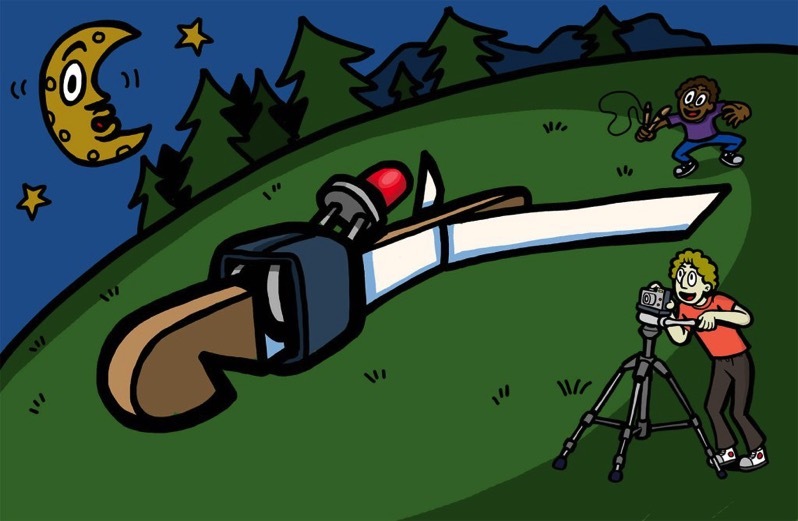 Build an LED Copter and Slingshot #MakerEducation « Adafruit Industries – Makers, hackers, artists, designers and engineers! Fun project from Electricity for Young Makers: Fun and Easy Do-It-Yourself Projects via Make. Gather the materials for this part of the project. You’ll need two of the three craft sticks, three #33 rubber bands, and some duct tape. Don’t worry too much about the exact size of the rubber bands. Just make sure they are the thin type, stretchy, and fairly long (#33 rubber bands are ⅛” wide and 3½” long). Thanks for sharing! I really enjoyed writing this book, and hopefully will be able to write a few more in the series.